How is Diet ID different from all the other diet apps? In the past, the only way to get information about the quality of your diet was to record what you’re eating – whether by a food diary, logging in an app, meal photos, questionnaires, or calorie counting. Rather than having the burden on you to track, weigh, measure, and record your food, Diet ID simplifies the process by showing you a series of carefully curated food images, based on known diet patterns. You choose the one that fits you best, and our intelligent algorithm narrows down choices until we get it right. In seconds, you have identified your unique Diet ID. But we take it one step further by guiding you through navigation to a healthier Diet -- your Diet Ideal. Navigation is a personalized, curated experience designed to achieve positive, permanent behavior change. Using scientific research literature, our team of registered dietitians engineer an ever-expanding map of diets that capture the eating patterns of over 90% of Americans (with plans to incorporate international diets). Each and every diet is analyzed for over 150 nutrients and scored for quality using the Healthy Eating Index 2015, the most widely used and scientifically validated diet scoring system available. Once the diet patterns are verified and scored, our culinary cartography team creates stunning visuals of the foods that represent each pattern. Diet ID was built on the concept of visual pattern recognition, a universally accepted theory in psychology. We humans are really good at making decisions using background (contextual) information to see, organize, and interpret our environment and behaviors. However, we are notoriously bad at recalling details like how often we eat broccoli or how much milk we put in our coffee. Ironically, we have been relying on these memory-dependent methods to assess our diet, leading to relatively inaccurate results. Pattern recognition is more consistent, reliable, and accurate than traditional memory recall. The tool also evaluates data that you input (such as your dietary preferences, goals, height and weight, age and gender, etc.) to generate a personalized summary of your diet. Diet ID is part of a research study with Boston Heart Diagnostics to evaluate acceptance and validate its accuracy. Preliminary results indicate that Diet ID is at least as good -- if not better -- than the Food Frequency Questionnaire, the current benchmark for dietary assessment in nutrition research. We also have learned that people much prefer Diet ID to other methods because it’s quick, fun, and easy to use. How do you come up with my “Ideal” diet? Based on extensive clinical research on diet and health, our multidisciplinary team of independent nutrition experts have linked specific health goals to the best therapeutic diets. Adding in your unique preferences, restrictions, and goals, we come up with a new, improved diet that is customized just for you. Can this really help me eat better? Yes! Based on the science of behavior change, your navigation from ID to IDeal includes education, daily support, and social accountability to help you make small changes each day that translate to big improvements to your health. Proven principles such as tastebud rehab, social cognitive theory, self monitoring, and goal setting are used to provide objective, sequential, progressive steps to change. Dr. Gardner holds a PhD in Nutrition Science and is a Professor of Medicine at Stanford. He has served on numerous committees, including the Nutrition Committee of the American Heart Association and currently on the scientific advisory board of the Culinary Institute of America. Over the past 20+ years, he has conducted more than a dozen human nutrition trials and has examined the potential health benefits of dietary components such as soy, garlic, antioxidants, ginkgo, omega-3 fats, and vegetarian diets. All of these studies have involved extensive collection of dietary assessment data. He recently completed a 12-month weight loss diet study among 609 overweight and obese adults, a total of over 5,500 24-hour diet recalls were administered using NDS-R. Dr. Gardner’s research group recently created, tested, and published the results from a study testing a smart-phone app designed to promote and track vegetable consumption. Dr. Dansinger is founding Director of the Diabetes Reversal Program at Tufts Medical Center and an Assistant Professor at Tufts University School of Medicine. He serves on the expert panel for the CDC’s Worksite Health ScoreCard project, is a nutrition and diabetes expert for WebMD, serves on the Council of Directors and Media Response Team for the True Health Initiative, and formerly Clinical Nutrition and Obesity Editor of the peer-reviewed Medscape Journal of Medicine. 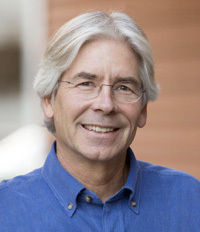 He was the principal investigator for the highly publicized research study “Comparison of the Atkins, Zone, Weight Watchers, and Ornish Diets for Weight Loss and Cardiac Risk Reduction” (JAMA 2005) and continues to conduct clinical research in lifestyle program effectiveness trials and approaches to increasing adherence to lifestyle recommendations. Dr. Frank is a Nutritional Epidemiologist having designed and implemented the dietary studies for the Bogalusa Heart Study for 16 years to investigate the association of dietary components on the early natural history of cardiovascular disease in children. She was Co-Principal Investigator for the ‘Women’s Health Initiative’ at the University of California, Irvine for 10 years and Co-Project Director of USDA-NIFA grants focusing on Latino health promotion and nutrition for 8 years. In 2000, she founded “Students Active in Community Health’ (SACH) at California State University Long Beach to focus college students on health issues of diverse, multicultural groups in the U.S. Gail served 19 years as a media spokesperson for the Academy of Nutrition and Dietetics, is a Certified Health Education Specialist (CHES) and developed an accredited dietetic internship training over 300 registered dietitians into the profession. Among her major areas of her interest is health promotion with nutrition across the lifecycle. Dr. Hu is Professor of Nutrition and Epidemiology at Harvard T.H. Chan School of Public Health and Professor of Medicine, Harvard Medical School and Brigham and Women’s Hospital, and Co-director of the Program in Obesity Epidemiology and Prevention at Harvard. Dr. Hu’s research is focused on nutritional and lifestyle epidemiology, prevention of obesity, diabetes and cardiovascular disease. He has published over 800 original papers and reviews (H-index 190) and a textbook on Obesity Epidemiology (Oxford University Press 2008). He was awarded the Kelly West Award for Outstanding Achievement in Epidemiology by American Diabetes Association in 2010. Dr. Hu served on the AHA/ACC Obesity Guideline Expert Panel, and the 2015 Dietary Guidelines Advisory Committee, USDA/HHS, and was elected to the National Academy of Medicine in 2015. Dr. Jenkins is Professor in the Departments of Nutritional Sciences and Medicine, Faculty of Medicine, University of Toronto, a staff physician in the Division of Endocrinology and Metabolism, the Director of the Clinical Nutrition and Risk Factor Modification Centre, and a Scientist in the Li Ka Shing Knowledge Institute of St. Michael's Hospital. His studies led to the development of the glycemic index and the plant based dietary portfolio for cholesterol reduction that aimed to link improved human health with the growing concern over human feeding patterns on environmental health. Dr. Murimi is Professor of Nutrition in the College of Human Sciences at Texas Tech University, president-elect for the Society of Nutrition Education and Behavior, Associate Editor for the Journal of Nutrition Education and Behavior, and Chancellor of Daystar University in Kenya Africa. Dr. Murimi’s research focuses on understanding the effects of the community environment on the nutrition status of the residents, and identifying coping strategies for food insecurity and factors that influence dietary behavior, especially among low-income populations. Recently, Dr. Murimi’s research has evolved to the study of usage of native vegetables in Africa to combat food insecurity and looking at ways of combating stunting in selected communities in Bangladesh. 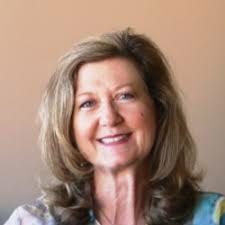 She has reported the findings of her research nationally and internationally with over 50 presentations in either oral, or publications at peer reviewed scientific journals. Dr. Murimi has received numerous recognitions for her achievements including the Society of Nutrition Education and Behavior mid-career achievement award. Dr. Snetselaar is Associate Provost of Outreach and Engagement, Professor in Epidemiology, College of Public Health, University of Iowa. She has over 200 publications including two textbooks. She directs a Nutrition Center and is Editor-in-Chief of the Journal of the Academy of Nutrition and Dietetics. Dr. Snetselaar has been PI/Co-PI of numerous NIH funded research studies including the Lipid Research Clinics Studies, Diabetes Control and Complications Trial, Modification of Diet in Renal Disease Study, Dietary Intervention Study in Children, Women’s Health Initiative and the Women’s Intervention Nutrition Study; her current research focuses on dietary interventions in community settings. Dr. Willett is a renowned physician, nutrition researcher, and Chair of the Department of Nutrition at the Harvard School of Public Health. He is also a Professor of Medicine at Harvard Medical School. Willett is the principal investigator of the second Nurses’ Health Study, a compilation of studies regarding women’s health and risk factors for major chronic diseases. He has published over 1,500 scientific articles regarding various aspects of diet and disease and is the second most cited author in clinical medicine.